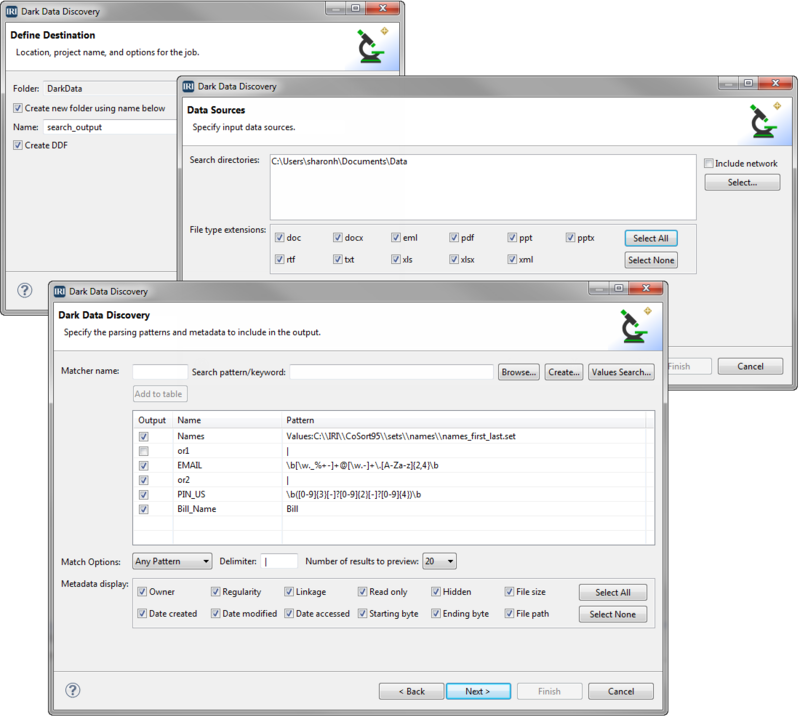 All IRI NextForm users can use the Dark Data Discovery Wizard in the IRI Workbench GUI to search, parse, forensically examine, and structure "dark data" in unstructured text files. Specify literals and patterns (via expression logic) for your search. Preview and save the matching data (and field values related to it) in delimited (structured, flat) files for further processing. and custom report outputs from any of the above.